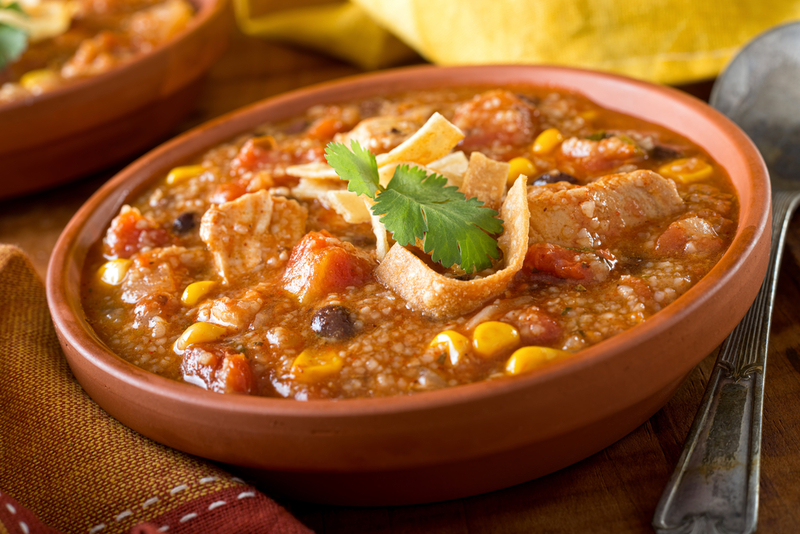 If you love a delicious chicken tortilla soup that’s hassle-free to feed your family, then look no further. This hearty, no-fuss slow cooker recipe will not only satisfy everyone, but it’s a perfect remedy to warm your insides during the cold season! It’s a delicious recipe that’s loaded with vibrant South of the Border flavors, and enough chicken and vegetables for a hearty meal that will leave you full, but not weighed down. The broth alone is very good, and you’ll notice that the lime juice is the real kicker that makes this recipe. It’s a great way to lighten the week’s load. And the recipe is versatile, so it can be easily modified to your taste buds. You’ll be so at ease preparing this meal and dropping in the slow cooker for a delicious soup fiesta! An incredibly hearty soup that will make you feel really good. Finish with your choice of toppings. Pour chicken broth and diced tomatoes into a slow cooker. Add onion, garlic, chili powder, cumin, paprika, coriander and season with salt and pepper to taste. Add chicken breasts then cover with the lid and cook on LOW heat 6 hours, or until chicken is cooked through. Remove chicken and shred, then return to slow cooker along with black beans, corn, cilantro and lime juice, stir. Allow to cook until heated through. Serve warm with tortilla strips and cheese and other optional ingredients.